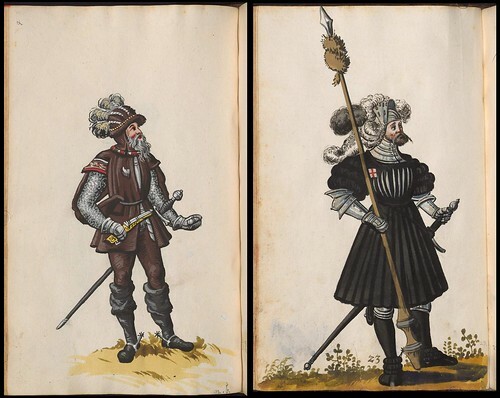 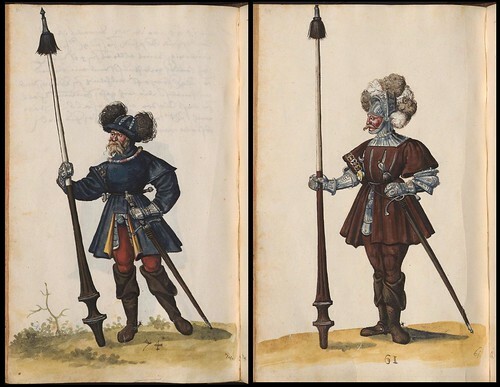 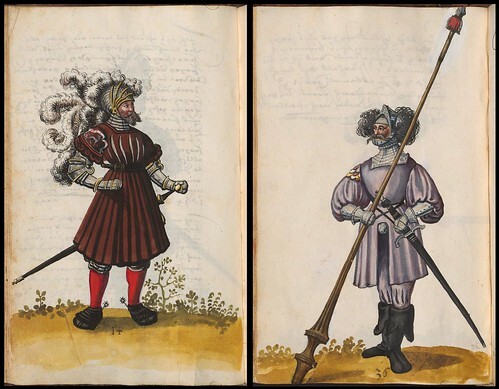 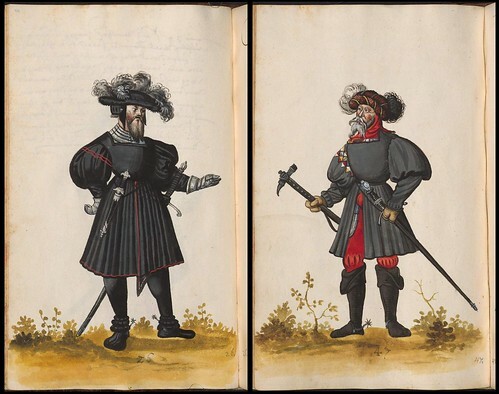 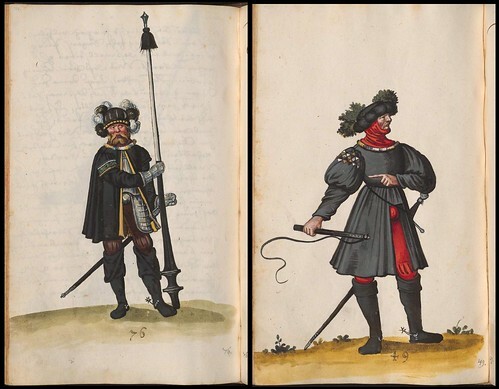 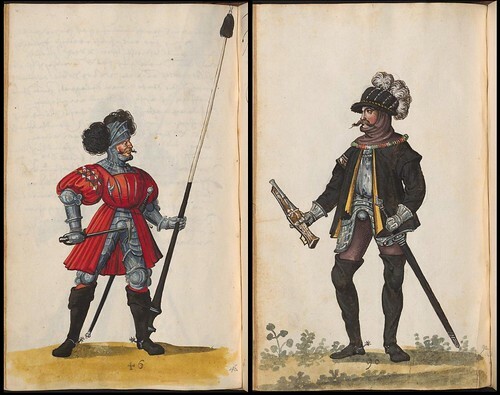 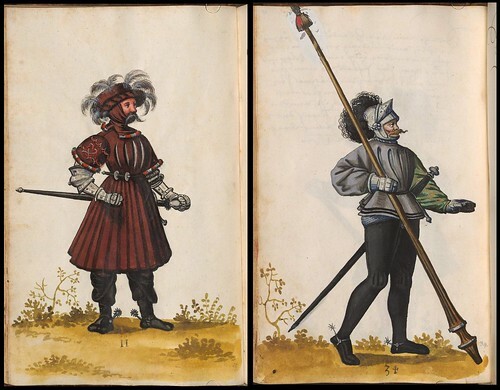 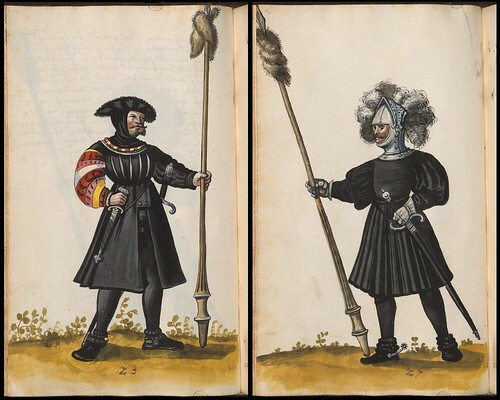 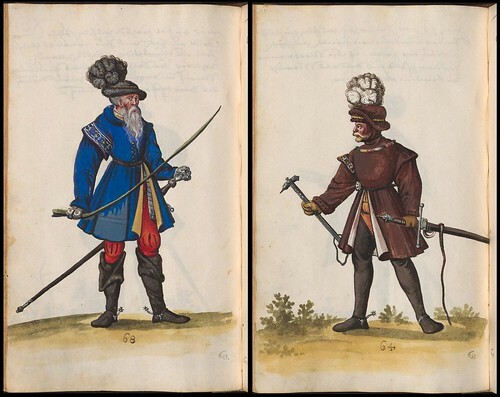 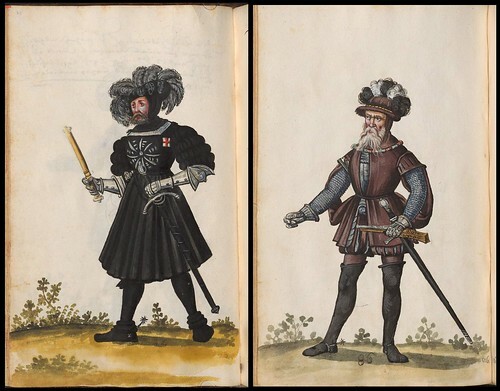 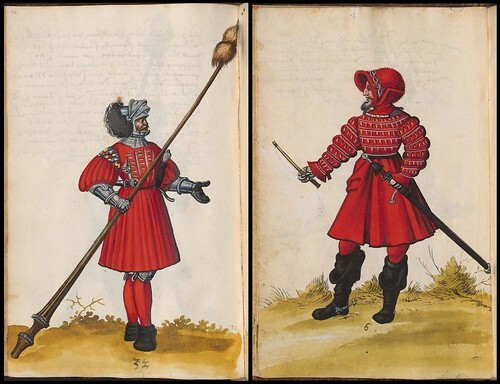 This wonderful watercolour sketch album of the Court livery (the distinctive costumes of the nobility) relates to the reigns of Counts Wilhelm IV and Albrecht V in 16th century Bavaria. 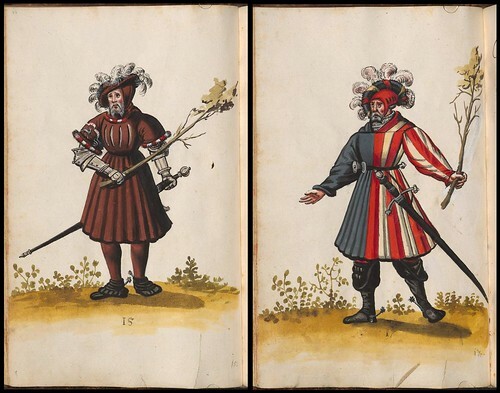 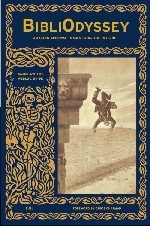 The Duke Dress and Heraldry post from last year - featuring a related manuscript - gives a little more background. 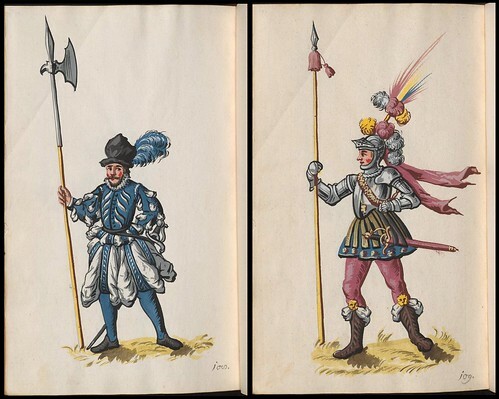 The readership expects to see these modeled by the web curator any day now, DSL or no DSL restrictions. 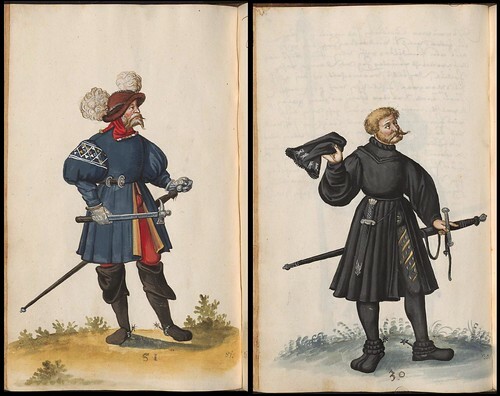 Which outfit will be first? 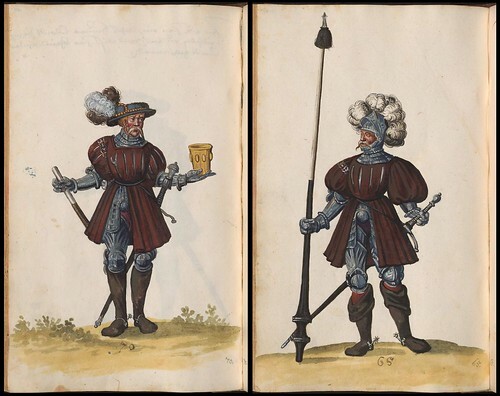 No modelling I'm afraid. 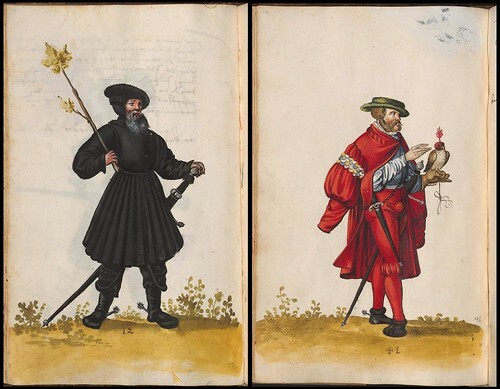 I like my pseudo-anonymity; it means I can play at being urbane whilst wearing no pants.